Mr Naik also expressed support for PM Modi-led government's decision on Wednesday to increase the minimum support price (MSP) for kharif crops. 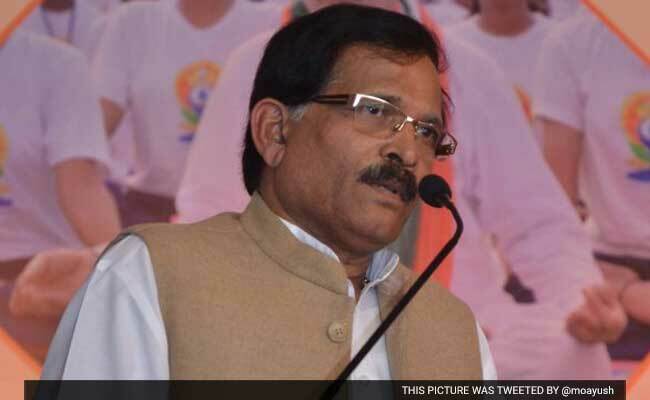 Ministers stepping out into the fields and indulging in farming activities, thanks to a Facebook challenge which went viral, will inspire agricultural land holders to take up farming activity once again in Goa, Union Minister of State for AYUSH Shripad Naik said today. Mr Naik at a press conference held at the BJP state headquarters in Panaji, also expressed support for Prime Minister Narendra Modi-led government's decision on Wednesday to increase the minimum support price (MSP) for kharif crops. "It is a good thing that ministers are stepping out in the fields. Farmers will get inspired by this", Mr Naik said, as a Facebook farming challenge has gone viral in the coastal state, with ministers as well as MLAs posing for the camera while ploughing, planting paddy saplings, and indulging in other farm activities. "Everyone should step out in the field, not just ministers. Our health has deteriorated because we do not step into our farms. Body toxins are released through the sweat but now we do not indulge in such work. You go back 25 years in time, you will not see the diseases we face today. People would regularly work, even hospital OPDs were not overcrowded," Mr Naik said. Praising the Central government for raising the MSP on 14 kharif crops by an average of 50 per cent, Mr Naik who is a former Union Minister of State for Agriculture said: "The Prime Minister in the last election had promised to double the earnings of farmers by 2022. The increase in MSP is a step in that direction. Therefore the farmers in the country are happy. In the last four years, several decisions have been taken for the welfare of farmers."